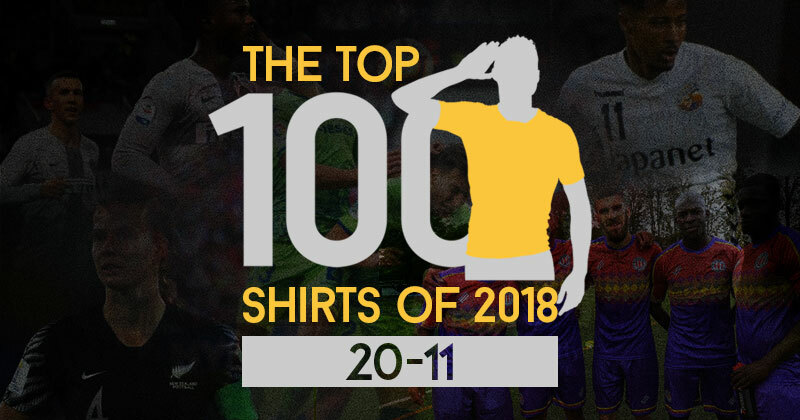 At this stage of Top 100 Shirts, any of the remaining kits could easily be placed #1. Many people argue that good shirts are purely subjective, that beauty is in the eye of the beholder. However, I would argue that at this point that the kits on offer are objectively great. Be it the uniqueness of the design, the consideration of the colour scheme or just the way that influences have been drawn out in a way which isn’t cliché. Or maybe I’m just building up unnecessary hype for the final fifth. Take a look for yourself and make your own mind up. I still find it strange to see Marseille in anything other than Adidas kits. However, if Puma keep releasing stunners like this away shirt, Marseille will continue to be one of the smartest looking teams in the French league. 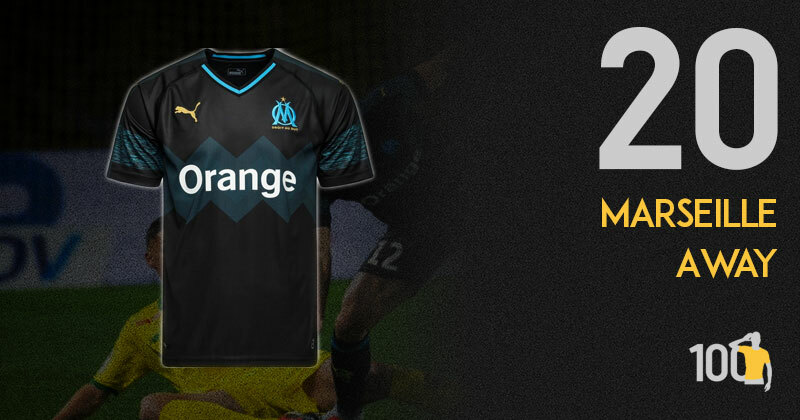 Marseille say that the shirt has been inspired by the city’s passion for football. It’s the heartbeat of the city and brings everyone together. This passion is represented with the blue ‘pulse’ featured across the front of the shirt. It’s a sleek shirt, with two colours that work really well together. If I could hand out a People’s Choice award or something of that ilk, this shirt would receive it. The story of kits in 2018 has been told by many great shirts, but Clapton’s away shirt shines bright as one of the most audacious and well-executed releases in living memory. 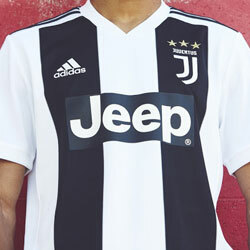 From a design perspective the shirt is remarkably fresh, and the fact it is grounded in the most commendable of influences only enhances the kit. Thank you Clapton, you’ve given us plenty to enjoy this year. Clapton CFC have the best shirt in the Middlesex Counties League Division 1 Central & East… without a doubt! 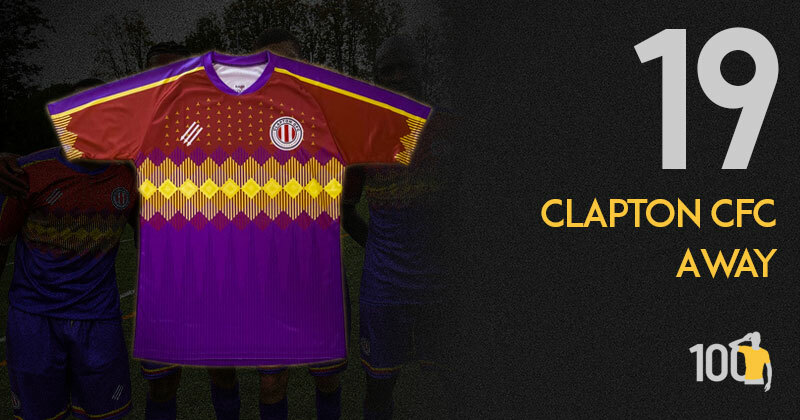 Actually… it could be argued that Clapton CFC have one of the best shirts in world football. 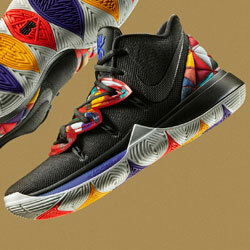 The colours are vibrant, the pattern is eye-catching and the story behind it… powerful. The shirt commemorates the 80th anniversary of the end of the Spanish Civil War and takes inspiration from the flag of the Spanish Republic and the International Brigades, which consisted of local men and women who travelled to Spain to fight the rise of fascism. A huge congratulations to everybody at the club involved in the making of a simply stunning shirt. 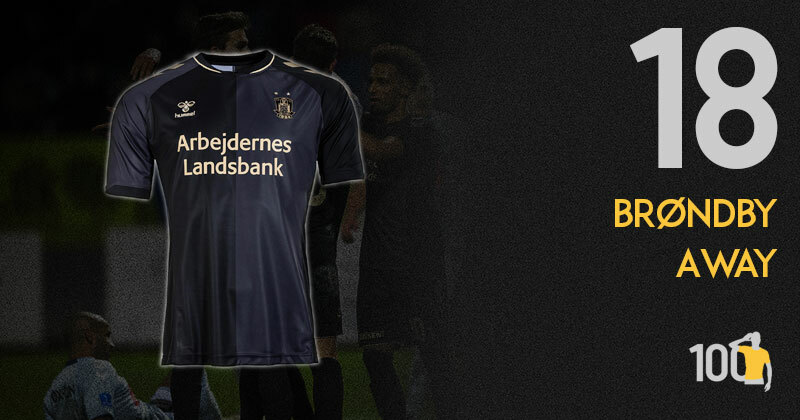 I love this super elegant Brondby away shirt. Hummel should be commended for designing a shirt that is both modern and retro-looking at the same time. The shirt uses a half and half design in black and grey, to symbolise the merger of two clubs to create the Brondby that we know today. However, it’s impossible to look at this kit and manufacturer and not think about the classic Hummel design used in 1986. 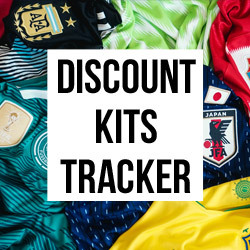 2018 has been a fantastic year for kits and its great to see Hummel bringing their A game to the party. This kit is one you can wear to a black tie event and still fit in. Hummel haven’t really gone all out with this kit, but they have. I’m confused by it, but I love it. Black, navy & gold just works. It’s classy, sophisticated and typically Danish. 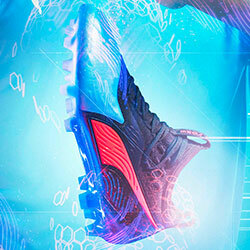 Hummel can do no wrong in Denmark and once again, they haven’t. It’s easy to forget that most shirts still start with a pencil and a sketchbook (or at least I like to think so). 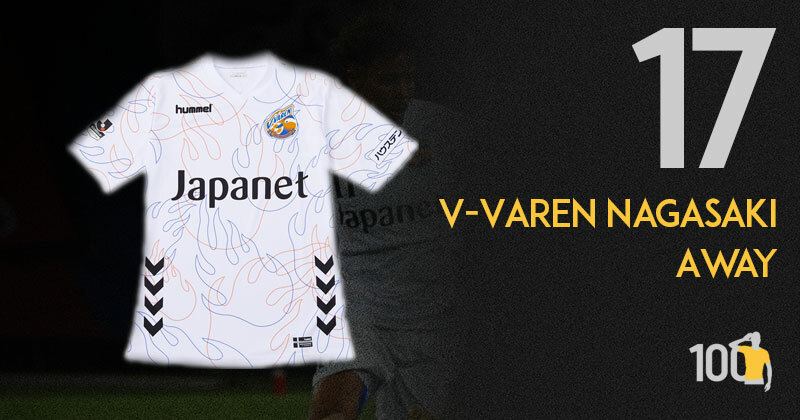 This kit, with it’s doodle-like flames and white base, looks like a drawing that just happened to appear in the pages of a designer’s pad before beginning it’s journey to production. It’s 10 doses of playful and a scoop full of flair, and a kit which was in my personal Top 5. It also happens to be the highest ranking Hummel shirt this year. A little surprise to see them outside the Top 10 perhaps, but no less commendable. Expect even bigger things next year. So all of Parma’s kits this year were fire. Third? Fire. Away? Fire. Home? You got it… Fire. Errea came out of nowhere with possibly the best team drop of 2018 and maybe the last few years. The Home Kit is bold and lets you know it’s early with a damn big cross on the kit. I also have a soft spot for any kit with a sharp collar. It’s a bold move from the Italian club and I back it 100%! 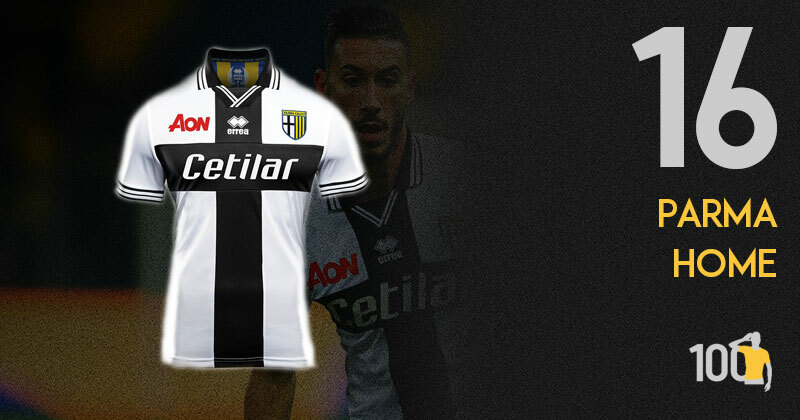 The less memorable of the two Parma shirts from the 1990’s but the home shirt is still a beauty. Featuring the black cross on the white background, it really grips you when seen on the pitch. The striped design on both the collar and the sleeves looks incredibly savvy, and apart from the red AON logo, is a wonderfully monochrome kit. 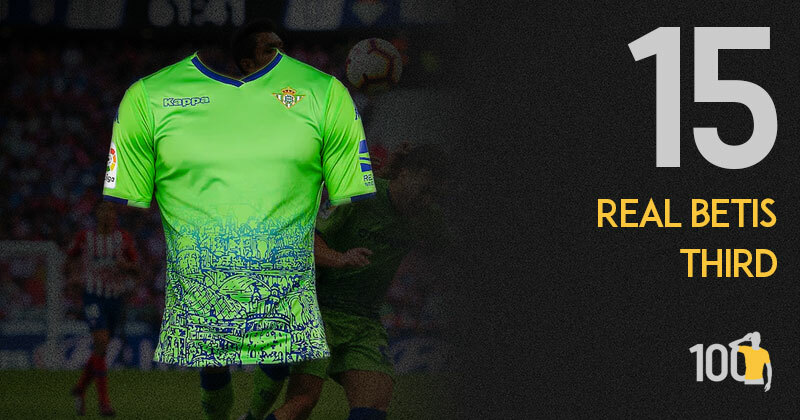 Kappa clearly took a page out of Nike’s book with this shirt, featuring a hand drawn collection of monuments from Seville for Real Betis’ third kit this season. This time featuring a darker green against a lime green background, it’s an eye-catching kit and represents Seville in a beautiful fashion. 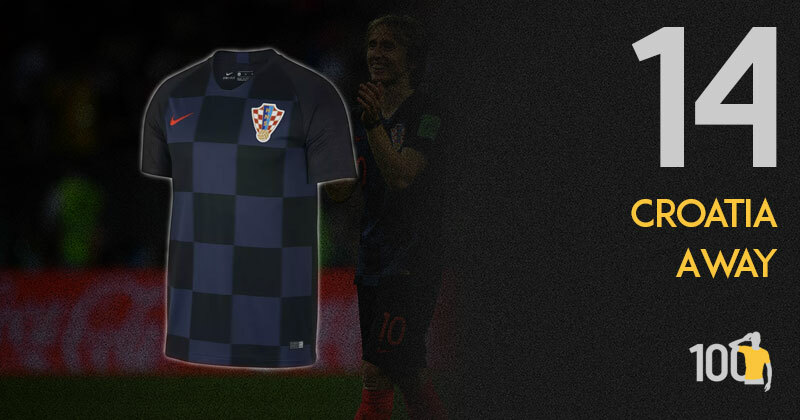 Euro 96 saw Croatia smash up lit tradition with their unique and stunning chequered home shirt. It really is a unique international brand for them and they do well to continue to give us something different with each new design. I really like the colour scheme of this away kit. A dark and brooding shirt that is the polar-opposite of their bright and vibrant home. They score extra points for keeping the same template for home and away PLUS using opposite colours, red to blue, white to black. It is what away kits should do. Forgive me for sounding like a broken record, but for the last time I am very happy to wax lyrical about what Nike have done with their third shirts this year. It’s rare to see a brand, especially as big as Nike, release a multi-team collection that maintains a theme whilst still managing to add genuine individuality. This year we’ve seen that, and at number 13 Inter take the prize as the highest ranking Nike third kit of 2018. This is one of those shirts which should probably be hung up instead of worn on the pitch. Rather than focusing specifically on the city of Milan, instead Nike used a marble pattern to represent the famous Duomo of Milan, and it’s worked a treat. The marble texture looks elegant, and the usage of the cross (which forms the flag of Milan) is a great touch, using a darker grey to contrast. The change of colour of the badge and sponsor is tastefully done too, really elevating the shirt to new heights. My only complaint is the small strip of yellow on the back neck of the shirt, which seems out of place and unnecessary. Ahhh. You gotta feel sorry for the NZ FA. 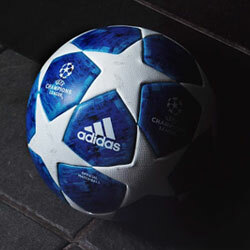 Living in the shadow of one of the most recognisable kit brands in world sport. They must feel like the less-talented and uglier young sibling of a brain surgeon that models in their spare-time. But this! The ugly duckling has grown into a magnificently beautiful swan. That has gone on to peck the famous All Black kit tradition to death!! What a beautiful shirt. 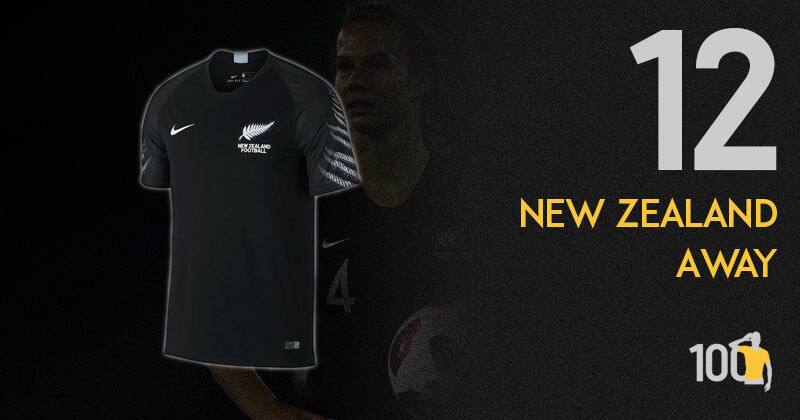 SImple black with stunning silver fern design on the sleeves. The All Blacks are dead. Long live the All White! When Nike broke through in the 90s with teams like Dortmund, they did all their best work on the sleeves of the shirt. For 6 years at the start of the decade they threw out the rulebook and created designs which have stood the test of time. With New Zealand’s away shirt in 2018, they’ve gone back to what they know best. And it’s in the most Kiwi way possible. It won’t get the praise it rightly deserves, but I’ll be cherishing this shirt as one of my personal favourites for a long time. Nostalgia is a funny thing. It brings feelings of pure emotion and devotion to a period in someone’s life. Albeit, I wasn’t born during the time when the original of this kit was released. But through this new kit, I can truly feel a sense of nostalgia being a Newcastle fan and all that, currently wishing I lived through the times of David Ginola at the Toon. But I didn’t *sobs*. Back to the shirt, the navy and maroon hoops give it a beautiful aesthetic. A look that hasn’t come out on the pitch often this year but the very limited times it has (I reckon once or twice), it’s looked slick. The Newcastle United archive is full of great shirts but Puma have opted to pay homage to one of the best… the 1996 away shirt by Adidas. I know it’s missing the collar and the sponsor is different, but it still works. The gold logos and club crest stand out against the maroon and blue stripes. It’s also nice to see the stripes continue onto the sleeves. 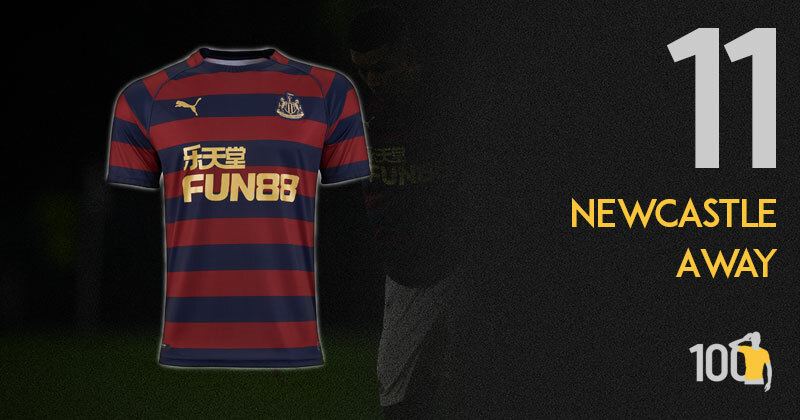 This shirt is instantly recognisable and reminds me of the great team Newcastle had at that time. A superb tribute to an iconic kit.